These general terms and conditions describe the rights and obligations of Lycamobile Austria Limited and its Customers concerning the delivery, performance and use of the Products and Services. 1.1 Acceptable Use Policy: The policy governing the use of the Products and Services by a Customer whether required by Lycamobile or the telecommunications operator of any Network that facilitates access to the Services. The Acceptable Use Policy is described in clause 6 below. 1.2 Account: The mobile telephone account registered or activated by a Customer that Lycamobile uses to provide the Products and Services and which keeps track of a Customer’s use of the Products and Services. 1.3 Agreement: These general terms and conditions, the User Guide accompanying the SIM Card, and the Charges published by Lycamobile from time to time, including any promotions or special offers. 1.4 Charges: The tariffs applicable from time to time for the use of the Services, including any connection fees, promotions or special offers. The current tariffs are available at http://www.lycamobile.at. 1.5 Customer: Any individual, company or partnership that registers their personal details or activates an Account with Lycamobile. In these general terms and conditions, the Customer is sometimes referred to as “you” or “your”. f) write to Customer Services Department at the address listed in clause 1.7 below. 1.7 Lycamobile: Lycamobile Europe Limited (Company Number 09385794) with its registered office located at 3rd Floor, Walbrook Building, 195 Marsh Wall, London E14 9SG, England. In these general terms and conditions, Lycamobile is sometimes referred to as “we”, “us” or “our”. 1.8 Network: The telecommunications networks used by Lycamobile to provide the Services to you. 1.9 Personal Data: The personal information that you provide to Lycamobile or that Lycamobile generates, collects, uses, processes and stores about you while providing the Services. These are: name, address, date of birth, mobile telephone number, academic degrees, occupation (“Master Data”), call data records including Traffic Data and geographical position data (“Location Data”), top-up records, credit card or debit card details, billing records, voice mail recordings, copies of e-mails including your e-mail address, and records of Customer Services Department enquiries made by you. 1.11 Products: The Lycamobile SIM Card, Multi-Purpose Voucher and any other products offered by Lycamobile, including promotional offers. 1.12 Roaming Services: The mobile telephone services that you use when travelling outside Austria. 1.13 Services: The mobile telephone services that Lycamobile provides to you via the use of a Lycamobile SIM Card pre-activated with a Multi-Purpose Voucher or topped-up with a Multi-Purpose Voucher including: access to the European Emergency Number (112), voice calling, messaging and data services, voicemail, calling line identification presentation (CLIP), calling line identification restriction (CLIR), Top-Up Services, Roaming Services, Account balance transfer services and the services provided by the Customer Services Department. 1.14 SIM Card: The prepaid, pre-activated card that allows you to access and use the Services by inserting the SIM Card into a compatible GSM mobile telephone. 1.15 TKG: The Austrian Telecommunications Act 2003. 1.16 Top-Up Services: The services you may use to add credit to the balance of your Account, including Automated Teller Machines (ATMs), the Multi-Purpose Voucher, Online Top-Up and Auto Top-Up. 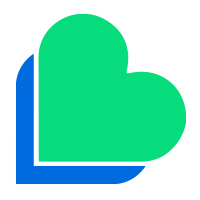 1.17 Multi-Purpose Voucher: A multifunctional voucher (whether in physical or electronic form) that allows you to access and use the various Services and other Products offered by Lycamobile by redeeming the face value. 1.18 User Guide: The guide or documentation supplied with your SIM Card which explains how you may access and use the Services. 2.1 The SIM Card is used by inserting it into a compatible GSM mobile telephone. When the SIM Card has been inserted and you have registered your personal details or activated your Account, you will have access to, and be able to use, the Services. 2.2 Lycamobile will immediately connect you to the Services as soon as you register your personal details or activate your Account. As long as you have sufficient credit in your Account, you will be able to continue using the Services until either Lycamobile or you decide to end this Agreement in the ways permitted. 2.3 Associated with your SIM Card is the PIN code (personal identification number) and the PUK code (personal unlocking key). The PIN and PUK codes must never be kept together. You will take every necessary precaution to preserve the secrecy of your PIN and PUK codes. You may be liable for any fraudulent or improper use of your SIM Card or Account that results from the intentional or accidental disclosure of your PIN or PUK code or the transfer of your SIM Card to another person. 2.4 The SIM Card remains the exclusive property of Lycamobile. You must retain the SIM Card and not lose or damage the SIM Card. Lycamobile will only replace a SIM Card where it is found to be defective by reason of faulty workmanship or design. 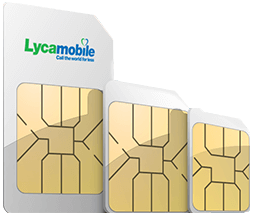 Lycamobile may charge you for a replacement SIM Card in a maximum amount of 5 € where you are responsible for the loss or damage of your original SIM Card or where someone has stolen your original SIM Card. It is your responsibility to promptly inform Lycamobile of any loss, damage or theft to your SIM Card, or any fraudulent or improper use of your SIM Card. 3.1 If you want to port your existing mobile telephone number to Lycamobile, the Customer Services Department can supply details of how you may port your mobile telephone number to Lycamobile. You will need to complete a Porting Authorisation Form which is available at http://www.lycamobile.at, and provide official photo identification. 3.2 You are reminded that the contract of service you have with your existing mobile operator is not affected and does not automatically terminate when your mobile telephone number is ported to Lycamobile. You must complete all your obligations under your existing contract of service. If you do not complete all your obligations under your existing contract of service, your existing mobile operator may prevent the completion of the port. 3.3 Unless you specify a particular date, a port will be activated as soon as possible but no longer than within one working day after the agreement on the port in the network of the receiving operator. 3.4 Lycamobile does not charge you any tariff for porting your existing mobile telephone number to Lycamobile. However, you should contact your existing mobile operator for any tariffs or other fees that they may charge you. 4.1 The Services are exclusively prepaid services. You are required to top-up in advance so your Account is in credit. As Charges are incurred they will be deducted from the amount credited to your Account. You may check your credit balance by calling the number listed in the User Guide or by logging into your Account. 4.2 To obtain an itemised statement of your use of the Services, including calls made, messages sent, Charges and top-up information, you must log into your Account. After logging into your Account, you may print a copy of your itemised statement. You may also request a free printed copy of your itemised statement. For this purpose, please contact the Customer Services Department by using the contact information listed in clause 1.6. In the event you think any Charge is incorrect, you should follow the procedure for making a complaint under clause 12.
a) You may purchase a Multi-Purpose Voucher at any participating retail outlet and activate the PIN code by following the dialling instructions on the Multi-Purpose Voucher. You may also activate the PIN code for a Multi-Purpose Voucher purchased at a participating retail outlet by using the Online Top-Up Service. b) You may register your details with Lycamobile, purchase a Multi-Purpose Voucher online and activate the PIN Code by using the Online Top-Up service. c) You may register your details with Lycamobile and subscribe to “My Lycamobile” and the Auto Top-Up Facility. d) You may register your details with Lycamobile and then contact the Customer Services Department. The amount of the top-up credit you purchased will be added to the credit balance in your Account at the time of your top-up. 4.4 The credit balance in your Account may only be used for the Services. In the event that you fail to use the Services and your SIM Card has been deactivated or if this Agreement has been terminated, you have the possibility to get a refund of your unused credit with proof of the legitimacy of your request (SIM Card PUK Code). A claim for a refund may be made by e-mail or writing to our Customer Services Department (see clause 1.6 e)). A request for a refund must be made within 3 months after deactivation. In this case, Lycamobile can charge a fee of 10 €. You will receive a timely notification about the conditions and costs of a refund according to the framework in clauses 5.2 to 5.4. 4.5 Interest is not payable on any credit balance in your Account. Each time you use the Services (or someone else uses your GSM mobile telephone) the credit balance in your Account will be reduced for the voice call, message or data you are making or sending according to the destination and the current Charges. Your Account balance will also be reduced by the amount of credit you have transferred from your Account. 5.1 The Agreement starts when a Customer registers their personal details or activates an Account, uses our Top-Up Services or uses our Services, whichever occurs first. The Agreement will then continue for a minimum period of twelve months. 5.2 After the initial twelve month duration of this Agreement, if you do not use your SIM Card to make a voice call, or send a message or data, or if you do not purchase a top-up using the Top-Up Services, for a period of thirty (30) days from the date you registered or activated your Account or your last use of the Services (whichever is later), Lycamobile will contact you by SMS or e-mail advising you that your SIM Card will be deactivated. Lycamobile will then provide you with an additional thirty (30) days to make a voice call, send a message or data, or purchase a top-up using the Top-Up Services. 5.3 If you make a voice call, send a message or data, or purchase a top-up using the Top-Up Services within the additional thirty (30) day period according to clause 5.2, your SIM Card will remain active. Any previous credit balance in your Account will remain available for you to use, and you will be able to access and use the Services without restriction. 5.4 If you do not make a voice call, send a message or data, or purchase a top-up using the Top-Up Services within the additional thirty (30) day period according to clause 5.3, your SIM Card will be deactivated. You will be timely notified by SMS or e-mail before the expiry of this period and the forthcoming deactivation and its consequences. If the SIM Card is deactivated, your specific telephone number – without prejudice to the possibility of number portability according to clause 3 – will be reallocated to another Customer and you will not be able to access or use the Services. You may be entitled to claim a refund of the existing credit on your Account under the conditions and costs referred to in clause 4.4. 6.1 You agree to use the SIM Card in a compatible GSM mobile telephone for the purpose of using the Services. Lycamobile is not the supplier of the GSM mobile telephone. You are solely responsible for any fault with the GSM mobile telephone which may cause interference or problems with your use of the Services. (g) to support calls to call forwarding services, onward calling services or calls to telephone numbers which pay a revenue share or resell to others or commercially exploit our Services. 6.3 If you have failed to comply with any of the provisions of clause 6.2, Lycamobile shall have the right to suspend, partially or fully, your access to the Services or terminate this Agreement without prior notice and with immediate effect. If Lycamobile terminates this Agreement for this reason, your SIM Card will be deactivated. If the SIM Card is deactivated, your specific telephone number will be reallocated to another Customer – without prejudice to the possibility of number portability according to clause 3 – and you will not be able to access or use the Services. You may by written request (by e-mail to our Customer Service Department according to clause 1.6 e)) obtain a refund of any possible existing credit on your Account. A refund must be made within 3 months following deactivation of the SIM Card. In this case, Lycamobile may charge a fee up to a maximum of 10 €. 6.4 Upon activation of a SIM Card, the purchase of a Multi-Purpose Voucher or the use of the Top-Up Services, you may be required to register your Personal Data with Lycamobile: name, address, date of birth, credit card or debit card details. If Lycamobile determines that the Personal Data that you provide is false, Lycamobile shall have the right to suspend, partially or fully, your access to the Services and/ or terminate this Agreement without prior notice and with immediate effect. If Lycamobile terminates this Agreement for this reason, your SIM Card will be deactivated. If the SIM Card is deactivated, your specific telephone number will be reallocated to another Customer – without prejudice to the possibility of number portability according to clause 3 – and you will not be able to access or use the Services. Regarding any refund of any applicable balance in your Account, clause 6.3 applies. 6.5 Lycamobile reserves the right, in its absolute discretion (and without prior notice), to restrict or prevent access to certain websites and services over its Network, including Voice over Internet Protocol (‘VoIP’) services. When we decide to restrict or prevent access under this paragraph, you may receive a message stating that the website or service is “not available”. 7.1 Lycamobile will provide the Services to you using its own Network and the Networks of one or more telecommunications operators. Occasionally any of these Networks may be unavailable for maintenance, modifications, upgrades, emergencies or to protect the security of the Network. At these times the Services may be temporarily unavailable. 7.2 Mobile telephony is a form of wireless communication and operates on the basis of the transmission of radio and signal frequencies. The transmission of these radio and signal frequencies may be affected by congestion on the Network due to the number of calls or messages or the amount of data being sent and received. 7.3 The transmission of the radio and signal frequencies may also be affected by the location of the base stations, obstacles such as buildings or underpasses, and by external factors such as geographic or atmospheric conditions. The Services may also be affected by the quality of the GSM mobile telephone chosen and used by you. 7.4 The Roaming Services are subject to the roaming contracts and service quality levels that have been agreed between other national and international telecommunications operators. Lycamobile does not have any control over the contracts or service quality levels agreed between these telecommunications operators. 7.5 The quality of the Services is due in the standard local level. If temporary Network outages or interference from other networks arises from the above mentioned reasons, Lycamobile will endeavour to keep them to a minimum and fix them as quickly as possible. If the quality falls below the standard local level, you have warranty claims according to the legal regulations as well as for further compensation claims in accordance with clause 10 of this Agreement. 7.6 Lycamobile will endeavour to keep any disruption to the Services to a minimum; however if you do experience disruption to the Services, you should report the fault to the Customer Services Department as soon as you become aware of the disruption. Relevant quality service levels will be periodically published on Lycamobile’s website at http://www.lycamobile.at. Lycamobile will ensure that Network security and integrity are each state of technology as well as in compliance with the respective statutory provisions. 7.7 Calls or messages to specific value-added services may be excluded from the services, provided that you desire this and notify us in writing. Promotions and special offers may be subject to a fair usage policy that limits your use of that the performance of the Network is not adversely affected for other customers. The fair usage policy will be described in each promotion and special offer and separately agreed between you and Lycamobile. 7.8 We are not responsible for and do not endorse any third party content that you may access or use. Your use of any third party content is entirely at your own risk. We do not guarantee access to third party content where you access or download the content from the internet or upload or transmit content using the Services. 8.1 Lycamobile generates, collects, uses, processes and stores your Personal Data in accordance with the Data Protection Act 2000, Federal Law Gazette No. 165/1999, and the privacy provisions of the Telecommunications Act 2003, Federal Law Gazette No. 70/2003 and other applicable laws and regulations, in the current version. c) to ensure the implementation of a security policy with respect to the processing of Personal Data. f) the compliance with applicable laws and regulations for data retention. 8.4 Lycamobile will delete the Master Data after the termination of the contractual relationship with you. Exceptions are only permitted to the extent that the data is still required to charge or collect fees, to process complaints or to comply with other legal obligations. Lycamobile will erase Traffic Data and Location Data immediately upon completion of a call. Exceptions are only permitted to the extent that data is still required to charge or collect fees, to process complaints or to comply with other legal obligations. 8.5 Where it is necessary for Lycamobile to provide the objective of this Agreement for telecommunications services, Lycamobile will transfer your Personal Data to other companies, who will process your Personal Data on behalf of Lycamobile. These third parties are obligated by Lycamobile to use your Personal Data in accordance with our instructions and applicable laws and regulations. 8.6 In the specific case, Lycamobile uses in the performance of this Agreement call centre and technical services of an affiliated company based in India. Where it is necessary for Lycamobile to provide the objective of this Agreement for telecommunication services, Lycamobile will disclose your Personal Data to this company. Lycamobile guarantee that your privacy rights are safeguarded by such transmission and at least comply with the legal requirements and the statutory level of data protection in Austria. Furthermore, Lycamobile is also to take reasonable steps under the Austrian Data Protection Act (DSG 2000) to protect the data and to establish the prevailing level of data protection in Austria. 8.7 Subject to the applicable laws and regulations, Lycamobile will provide you on written request with a copy of your data stored at Lycamobile. This right to information is available once a year for free. Any further requests for information will be satisfied by Lycamobile on payment of a small fee of 15 €, which is shown separately in the fee regulations. If any of your Personal Data which in the framework of this Agreement which you have provided to Lycamobile changes, it is your responsibility to notify Lycamobile accordingly. 9.1 You acknowledge and agree that Lycamobile may use your Master Data in the context of the legal regulations (TKG 2003 and Data Protection Act 2000) to inform you by e-mail or SMS about similar products and services offered by Lycamobile as well as special offers and promotions that in this regard may be of interest to you. If you do not wish to receive this information or do not wish to be contacted in this way, you may at any time have the opportunity, free of charge, to object to such marketing activities by contacting the Customer Services Department (see clause 1.6), replying to the SMS or sending an e-mail message to unsubscribe@lycamobile.at. 9.2 You may request that the following data be included in Lycamobile’s subscriber directory: your surname, first name(s), academic degree(s), address, mobile telephone number and your occupation. You also have the right to request an entry in publicly available subscriber directories, to verify or correct your entry, and to have your entry withdrawn. In addition, you have the right to request that your data not be included in a subscriber directory at all or in part (non-listing) at no cost. If you request, your data will not be included in an electronic subscriber directory which allows searching by data other than your name. 9.3 Our Network offers calling line identification and suppression. When you make or receive a call, your mobile telephone number will be displayed to the person you are calling or that is calling you. You may disable this feature on your mobile telephone at no charge; however, you will not be able to disable this feature for calls you make to the European Emergency Number (112). In addition, when you receive a call, the mobile telephone number of the person calling you will be displayed on your mobile telephone. You may, at no charge, suppress the display of the telephone number of the incoming call by disabling this feature on your mobile telephone. 10.1 Lycamobile is not responsible for damage or loss or inconvenience incurred by you that results from the content of any voice call, message or data sent or received by you. 10.2 Lycamobile is not responsible for damage or loss or inconvenience incurred by you that results from the involvement of a third party, including governmental, judicial or administrative bodies. 10.3 You are advised of the inherent risk in the use of a mobile telephone while driving a motor vehicle. Lycamobile is not responsible for damage or loss or inconvenience incurred by you and that results from any accident caused by the use of a mobile telephone while driving a motor vehicle. 10.4 Lycamobile is not responsible for indirect damage, loss or inconvenience if you have contributed to the damage or loss. This applies only in relation to businesses as defined in the Consumer Protection Act, Federal Law Gazette No. 140/1979 (Consumer Protection Act). 10.5 Lycamobile is not responsible for the failure of any retail outlet to properly activate your SIM Card or Multi-Purpose Voucher or process any payment you make. In these cases, you should contact the retail outlet where you obtained your SIM Card or purchased your Multi-Purpose Voucher and request a refund. 10.6 In the event your SIM Card is lost or stolen, or you believe your SIM Card is being used in a fraudulent or improper manner by another person, you must promptly contact the Customer Services Department. Lycamobile will then be able to block the use of your SIM Card. If you fail to promptly contact the Customer Services Department, you will be liable for all Charges relating to the use of the SIM Card until you do notify us, regardless of whether the Charges were incurred by you or someone else. Liability for Charges incurred by the use of premium rate numbers is excluded therefrom. 10.7 If you incur damage or loss as a result of Lycamobile’s failure to meet the contracted service quality levels, Lycamobile will only be liable in the event of direct damages or losses caused solely by Lycamobile’s gross negligence or intent. In no event is Lycamobile liable for indirect or intangible damage or loss or damage or loss caused by slight negligence. The exclusion for slight negligence does not apply to personal injury. The exclusion for slight negligence shall not apply to the breach of contractual obligations in relation to consumers within the meaning of the Consumer Protection Act, Federal Law Gazette No. 140/170 (Consumer Protection Act). In addition, this provision applies as far as it limits the liability of Lycamobile only in relation to businesses as defined in the Consumer Protection Act, Federal Law Gazette No. 140/179 (Consumer Protection Act). In accordance with clause 7, if the agreed quality is not achieved for these reasons, compensation is calculated for each hour that the Services are not available to the contractually agreed quality level. The calculation is based on our average usage per hour during the last three months. You are then for each hour of unavailability over the contractually agreed quality level, entitled to compensation credit in the amount of your average hourly usage for the last three months. 10.8 Nothing in this Agreement shall exclude or limit the liability of either Party for death or personal injury caused by that Party’s negligence or the consequence of wilful misconduct, fraud, gross negligence of that Party or any other liability which cannot be excluded or limited by applicable law. 10.9 Lycamobile is not responsible for damage or loss or inconvenience incurred by you, and will not be liable to provide the Products or Services, as a result of any reason outside the control of Lycamobile, including unavoidable events, natural disasters, labour dispute, war (whether declared or not), civil unrest, acts of terrorism, acts of government or any other local authority. These reasons are also known as “force majeure”. 10.10 If you incur any damage or loss or inconvenience, you must notify the Customer Services Department in writing of the claim within a reasonable time. A notification to the Customer Services Department must be made within four (4) weeks after you have discovered that your claim has occurred. For any damage, loss or inconvenience that is not notified to the Customer Services Department within this period of four (4) weeks, there is no compensation. This period of four (4) weeks shall not apply when you use the Services as a consumer under the Consumer Protection Act, Federal Law Gazette No. 140/1979 (Consumer Protection Act). 10.11 In relation to businesses, as defined in the Consumer Protection Act, Federal Law Gazette No. 140/1979 (Consumer Protection Act), as a user of our Services, the liability of Lycamobile against you under this Agreement is limited to a maximum total amount of €750.00 per claim or series of connected claims. 11.1 Lycamobile reserves the right to change these terms and conditions for legal or regulatory reasons. Changes to these terms and conditions may result from changes to our Network suppliers, or be required for other technical or commercial reasons, such as changes to our Products or Services. Changes to these terms and conditions may take place through further changes to our Charges or the introduction of new Charges according to the tariff table on our website at http://www.lycamobile.at. 11.2 Changes to these terms and conditions, as well as in Charges, will be published at least two months before their introduction to the Rundfunk & Telekom Regulierungs – GmbH (RTR – GmbH). Lycamobile will notify you in writing of the essential content of changes not entirely favourable to you at least one month before their entry into force. If you do not accept the change notified to our terms and conditions or Charges, you are entitled to cancel the subject Agreement from the effective date for free, or cease to use the Services or top up your Account. You may claim back any unused credit until the amendments enter into force is you do not accept the changes under the conditions of clause 4.4. The amendments shall be deemed accepted by you if up to the entry into force you have not objected to the proposed amendment, free of charge, by notification to our Customer Services Department (see clause 1.6). You will also be notified in the change notification of the contradiction, the period to object and the importance of your conduct. 11.3 The other provisions of the Consumer Protection Act, Federal Law Gazette No. 140/1979, as well as the General Civil Code shall remain unaffected. 12.1 If you have a complaint about the Products or Services (e.g., regarding quality of the Products or Services, payment disputes or violations of TKG 2003) you must first submit your complaint, promptly and in writing, to the Customer Services Department (see clause 1.6). You may also e-mail your complaint to the Customer Services Department. It is necessary that you provide sufficient details of who you are (name, address [or e-mail address] and mobile telephone number), and the nature of your complaint. 12.2 In the case where you question the correctness of any Charge, you must submit your complaint to the Customer Services Department not later than three months from the date of the Charge was incurred. Lycamobile will credit to your Account the amount of any incorrect Charge. In the event that an error has been identified which is to your detriment, and the correct Charge cannot be calculated, Lycamobile will compensate you based on the average cost of a call cost (on a per minute basis) that you made during the previous month, where Lycamobile can demonstrate usage to this extent. 12.3 In the event of any dispute between you and Lycamobile about an alleged violation of the Telecommunications Act, either party is entitled to appeal to the regulatory authority within the meaning of § 122 TKG 2003. Without prejudice to the jurisdiction of the ordinary courts, either party may submit a dispute or complaint which has not been satisfactorily resolved, especially regarding the quality or service or payment disputes, or an alleged violation of this Act to the regulatory authority. Lycamobile is obligated to participate in such a process with all information necessary to assess the situation, and to submit the required documents. The regulatory authority shall negotiate an amicable solution or notify the parties of its views on the case. Lycamobile specifically points out that according to the guidelines of the regulatory process for appeal after decision is possible within the meaning of clauses 12.1 and 12.2. 13.1 This Agreement represents the entire agreement between Lycamobile and you in relation to the Products and Services. It takes precedence over all prior agreements (written and oral), and all representations or other communications between Lycamobile and you. The retail outlets are not authorised by us to amend this Agreement or to agree any terms which are inconsistent with these terms and conditions. 13.2 Failure or delay by either Lycamobile or the Customer to enforce any right under this Agreement shall not prevent Lycamobile or the Customer (as the case may be) from taking further action. 13.3 If any term or condition of this Agreement is determined to be partially or wholly void or unenforceable by any court or body of competent jurisdiction or as a result of any legislation, it shall be void and unenforceable only to that extent. The validity and enforceability of the other terms and conditions shall not be affected. 13.4 Lycamobile is entitled to assign all of its rights and obligations under this Agreement to a third party. With the written consent of Lycamobile – this does not apply to consumers under the Consumer Protection Act, Federal Law Gazette No. 140/1979 (Consumer Protection Act) – you are entitled to transfer all rights and obligations under this Agreement to a third party. Excluded are individual rights, such as repayment rights. 13.5 This Agreement is governed by Austrian law, excluding the rules on the Uniform International Sales of Goods Act, and the Austrian courts have exclusive jurisdiction over disputes arising under this Agreement.